San Antonio, TX – The Culinary Institute of America marks 10 years in San Antonio at Historic Pearl this year. The world’s premier culinary college served as the consulting organization for the opening of the Center for Foods of the Americas (CFA) in 2006, and created its Texas campus two years later when San Antonio entrepreneur and philanthropist Kit Goldsbury presented the CIA with the largest-ever gift in private culinary education—officially founding the campus and enabling its expansion through the years. Goldsbury’s investment corporation, Silver Ventures, bought the Pearl Brewery site in 2002 with extensive plans to create a mixed-use development that would include restaurants, shops, and eventually, a boutique hotel. The company restored many of the existing spaces and built a state-of-the-art kitchen and classrooms for Pearl’s anchor tenant—a research and educational facility, the CFA. Following this, Goldsbury pledged $35 million to the CIA—the majority earmarked for scholarships for Latino culinary students to attend the CIA as part of the college’s El Sueño initiative. In addition to helping Latinos acquire the skills needed to attain leadership positions in foodservice and hospitality, El Sueño’s second goal is to create a future where Latin American cuisines are elevated to their rightful place among the great cuisines of the world. In 2011, the National Restaurant Association presented the CIA and Silver Ventures with its Faces of Diversity Inspiration Award, honoring the success of El Sueño, literally The Dream. “The accomplishments of the CIA in helping young students achieve better education and career options are admirable and inspiring,” said National Restaurant Association President and CEO Dawn Sweeney at the time. The CFA officially became the third campus of the CIA in 2008 when classes of 36 students began pursuing a 30-week certificate program in culinary arts. Once extensive new facilities were completed in 2010, the CIA was able to launch associate degree programs in both culinary arts and baking & pastry arts, expanding enrollment to about 150 full-time students. The CIA was also able to offer continuing education classes in Latin cuisines for culinary professionals and food enthusiast classes for the public. In addition, since 2014, bachelor’s degree students from the college’s New York campus have had the option to spend a semester in San Antonio for a 15-week academic concentration in Latin Cuisine Studies. The CIA opened Nao in 2012, a restaurant featuring cuisines from throughout Latin America. Today, Nao Latin Gastro Bar is a vibrant concept with a menu of progressive Latin food helmed by Executive Chef Zach Garza, a graduate of the CIA San Antonio. The campus is also home to the popular CIA Bakery Café, a pop-up establishment for several weeks each spring, allowing baking & pastry arts majors to get hands-on retail bakeshop experience at the end of their sophomore year. Over the past decade, the CIA’s Texas campus has launched the careers of incredible talents such as Diego Galicia of Mixtli; Diego Fernandez of Starfish and recently announced Hearsay Urban Taste; Michele Hitchcock, sous chef at the popular Hotel Emma; Michael Evan Martinez, sous chef at Brigid; and Luis Morales of the progressive Humble House food company. As the CIA celebrates 10 years in San Antonio, the college is planning special food enthusiast classes; new cooking classes, including some for children; a celebration dinner at Nao Latin Gastro Bar on Friday, May 6; and more. 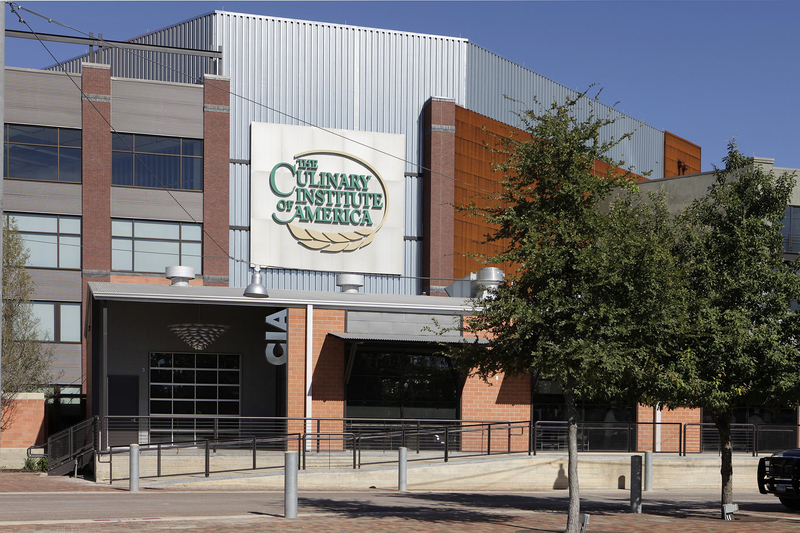 The Culinary Institute of America, San Antonio is located at 312 Pearl Parkway in San Antonio, TX. For more information, please visit www.ciachef.edu/cia-texas/.